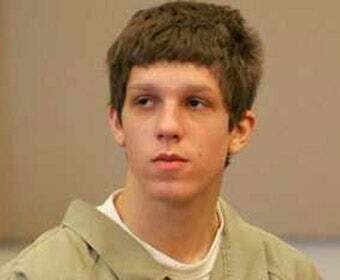 An Ohio judge has granted Daniel Petric a lenient sentence today, citing the teen's video game addiction to Halo 3 as a potential contributing factor in the 2007 shooting that left his mother dead. Kotaku has been following this story closely since it began in early 2008. 16-year-old Daniel Petric, angered at his parents for taking away the copy of Halo 3 that he had purchased against their wishes, shot both of his parents in the head with his father's 9mm handgun, after requesting that they close their eyes because he had "a surprise" for them. While his father, minister Mark Petric, survived the shooting, his mother did not. Defense lawyers argued video game obsession as a motivating factor behind the killing...that Daniel didn't think the deaths would be real due to his immersion in Halo 3. While the defense was not enough to save the teen from being convicted in January of this year, it did have an effect on the sentence that Petric received this morning. Instead of the full life sentence prosecutors were aiming for, Daniel Petric was instead sentenced with 23 years to life, with the possibility of parole after 23 years have been served. Lorain County Common Pleas Judge James Burge addressed the video game issue during the sentencing itself, claiming that it was a factor in his final decision. I suppose the question we have to ask ourselves now is how heavily does the opinion of one common pleas judge weigh on the court system as a whole? We've seen the video game defense fail time and time again in courtrooms across the country, and while it didn't get the defendant off the hook on this occasion, it certainly had some impact. Does this sentence validate the game addiction defense, or is it simply an isolated event?